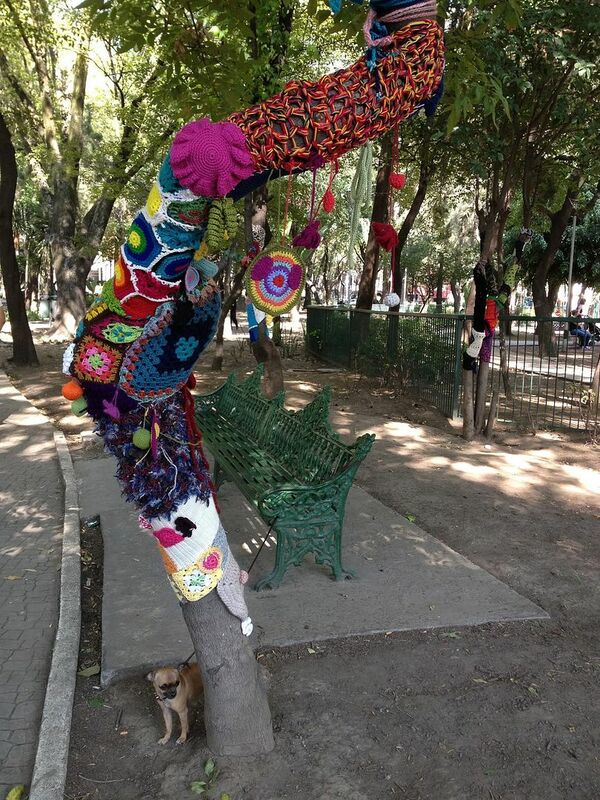 Art, Like Bread: Ganchitos Mexico City #Crochet and Knit Yarnboming Photos! 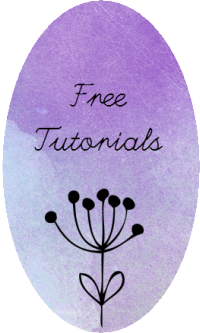 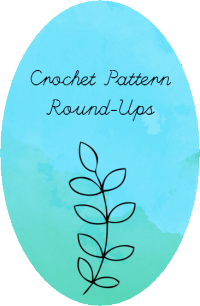 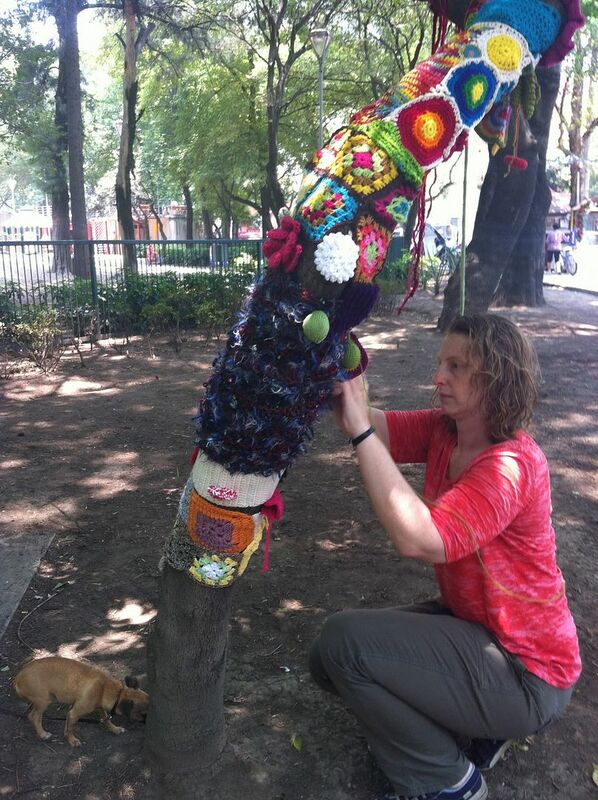 Ganchitos Mexico City #Crochet and Knit Yarnboming Photos! 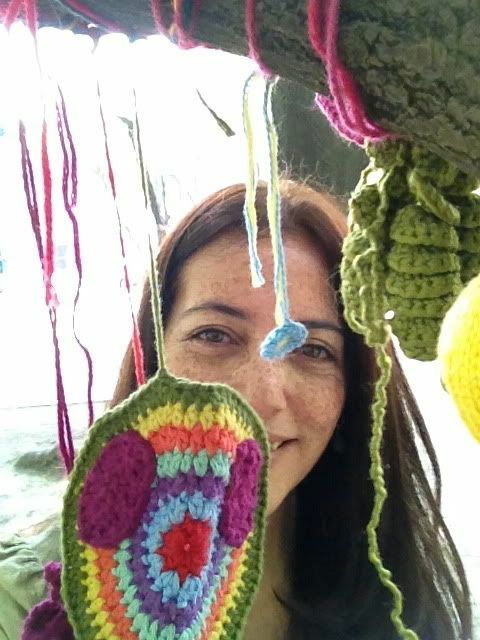 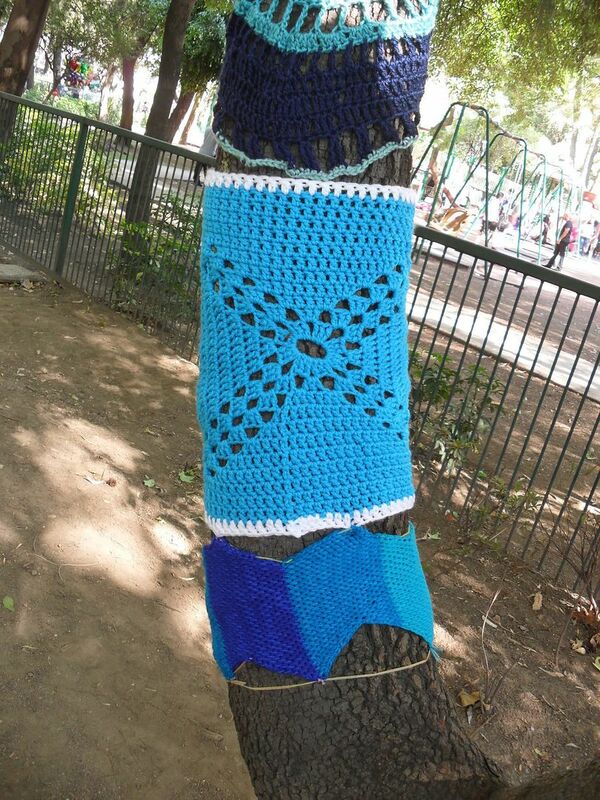 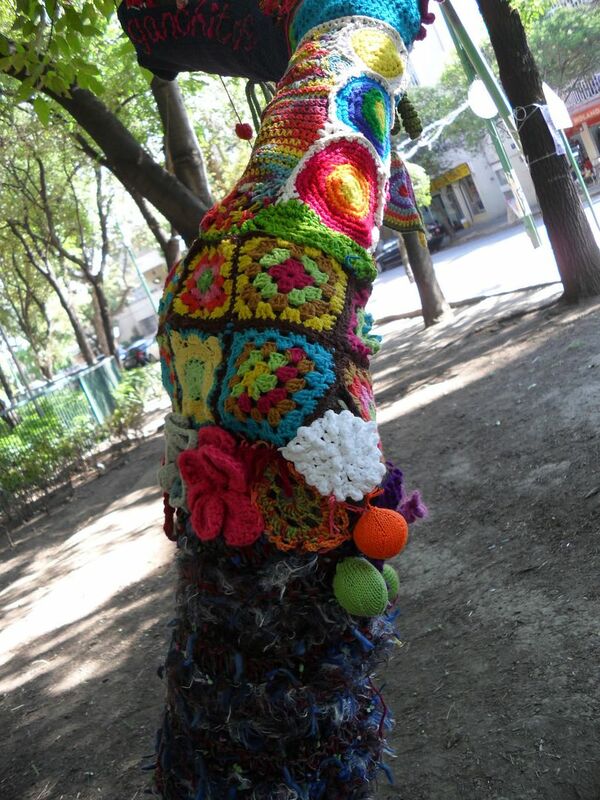 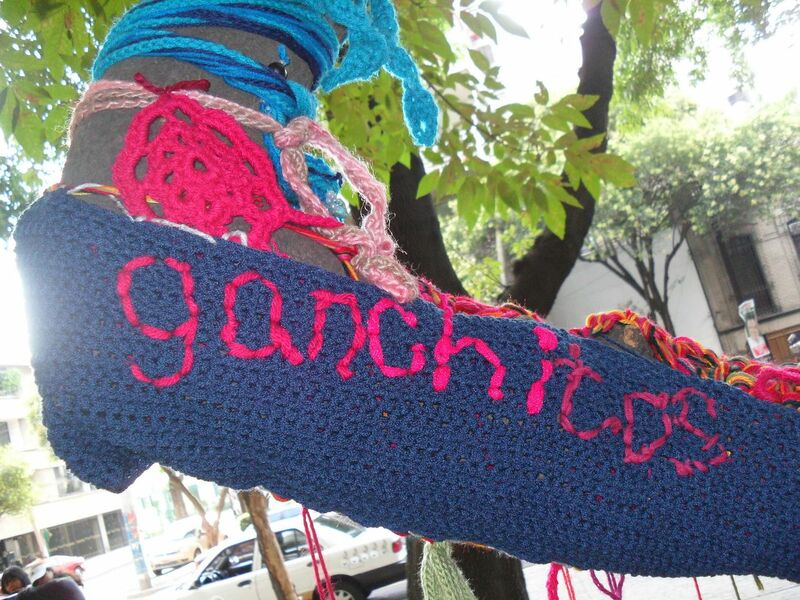 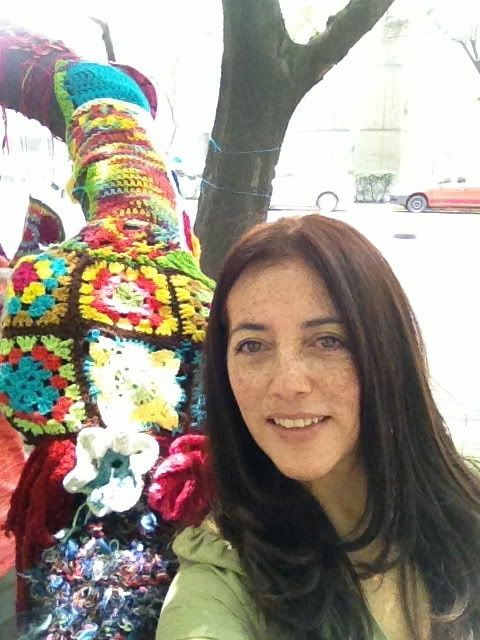 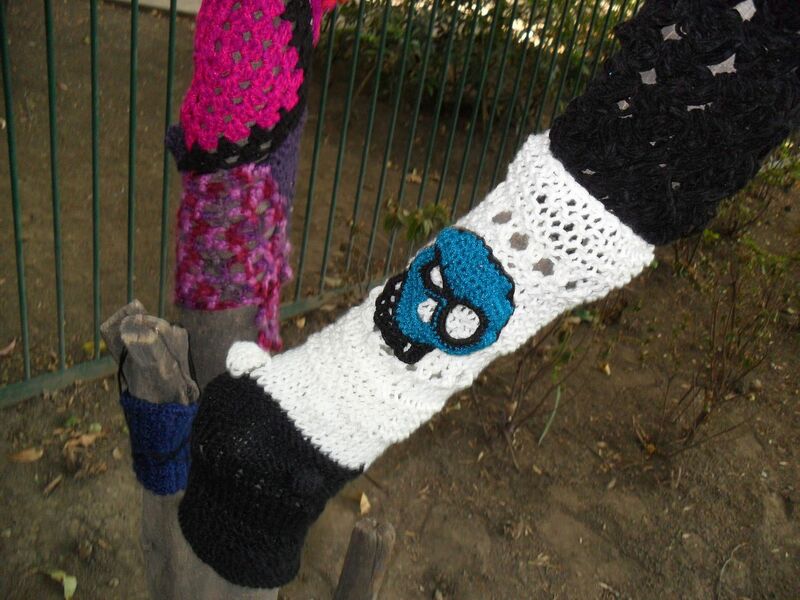 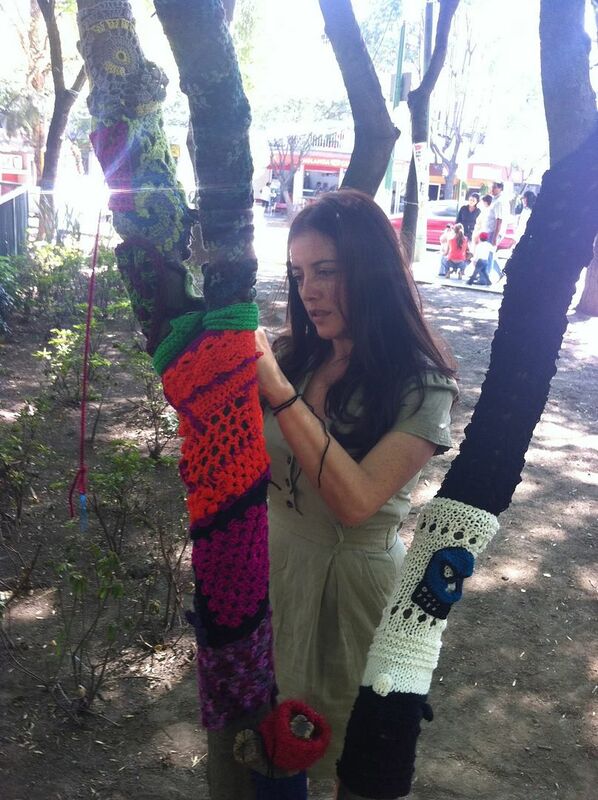 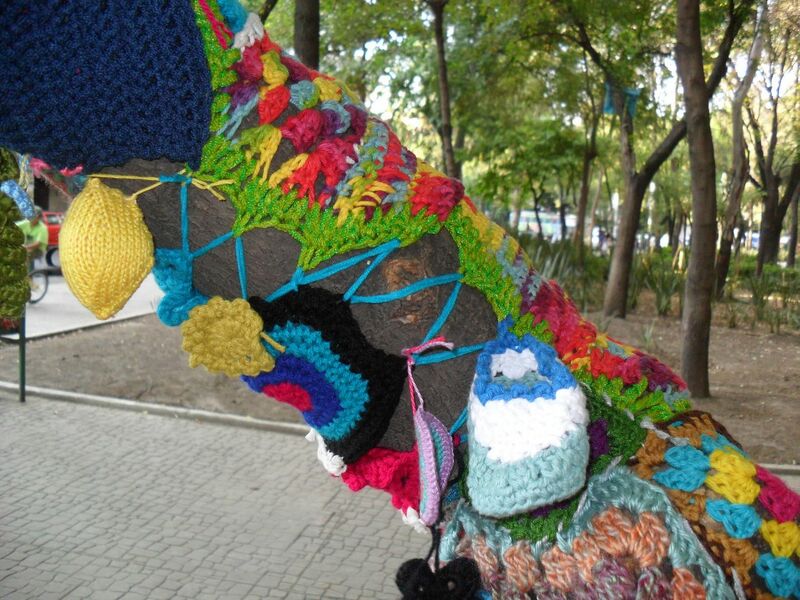 Happily, the first yarnbombing project by Ganchitos Mexico City was a huge success! 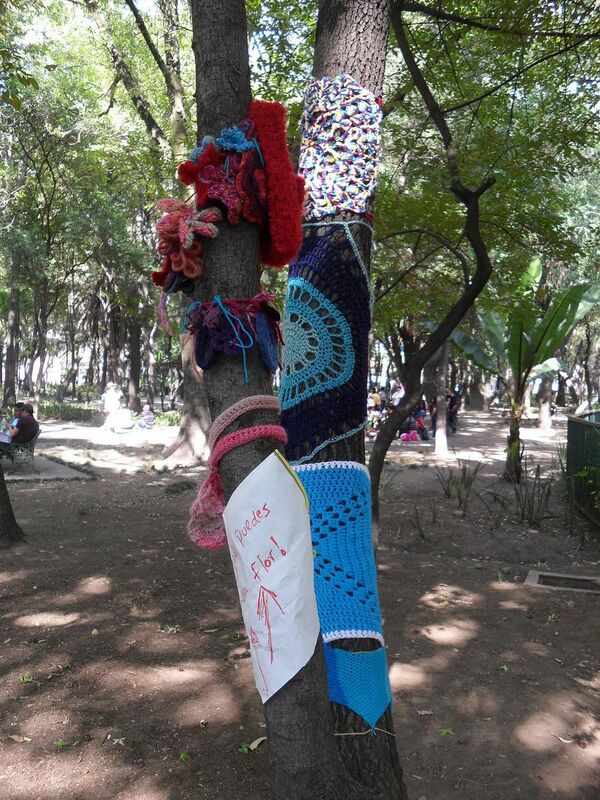 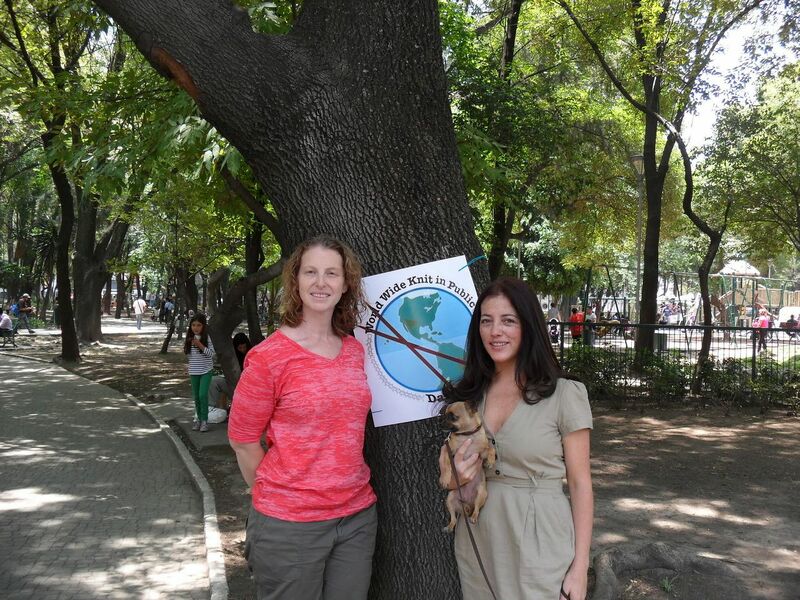 The installation lasted between 2 and 7 days, and was at Parque España in La Condesa, Mexico City. 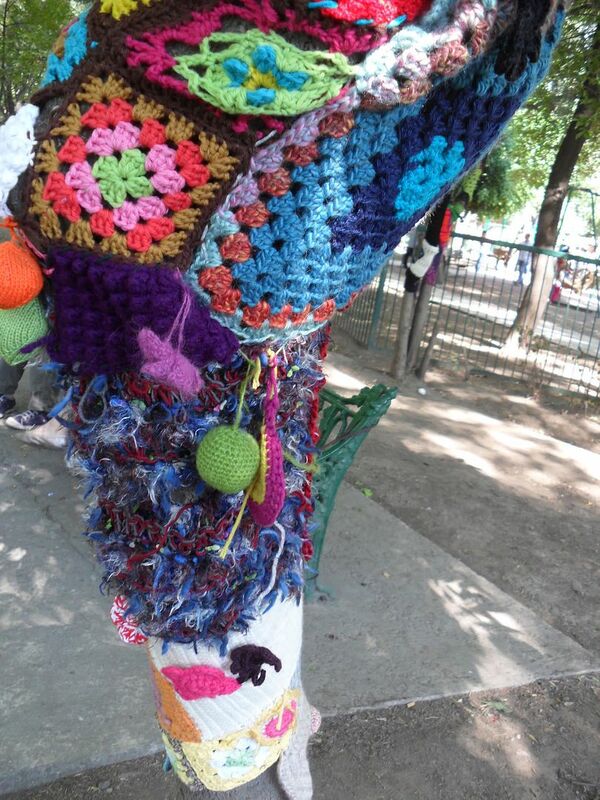 It was a colorful, collaborative effort that sparked curiosity and imagination. 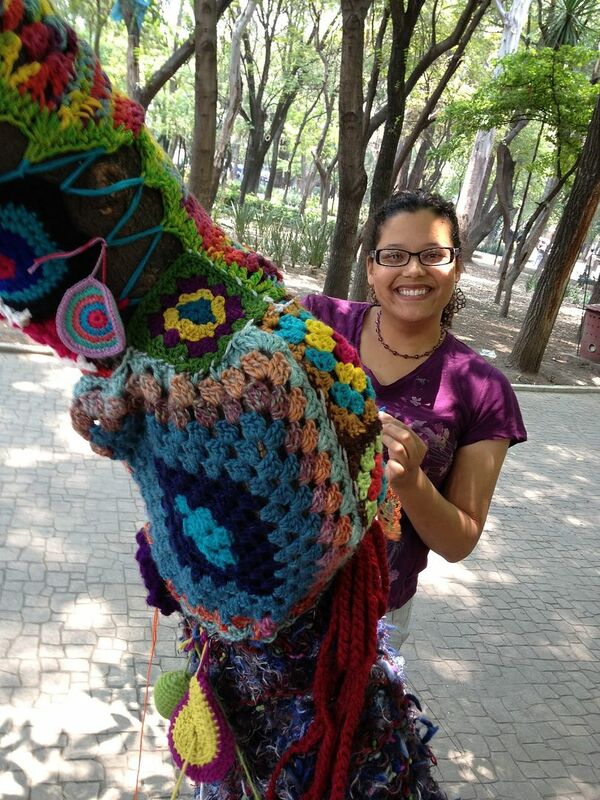 It took a lot longer than expected, but it was also a lot more fun. 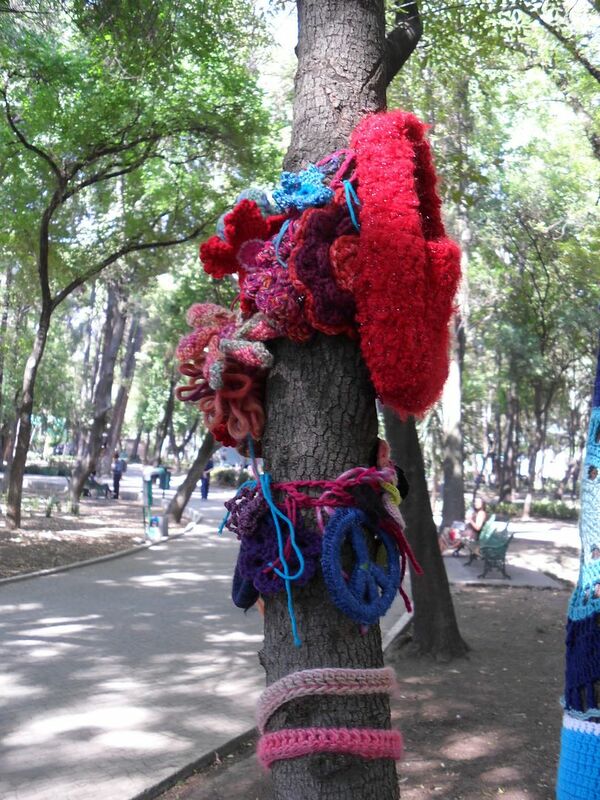 and UFOs (UnFinished Objects) and put them to good use. 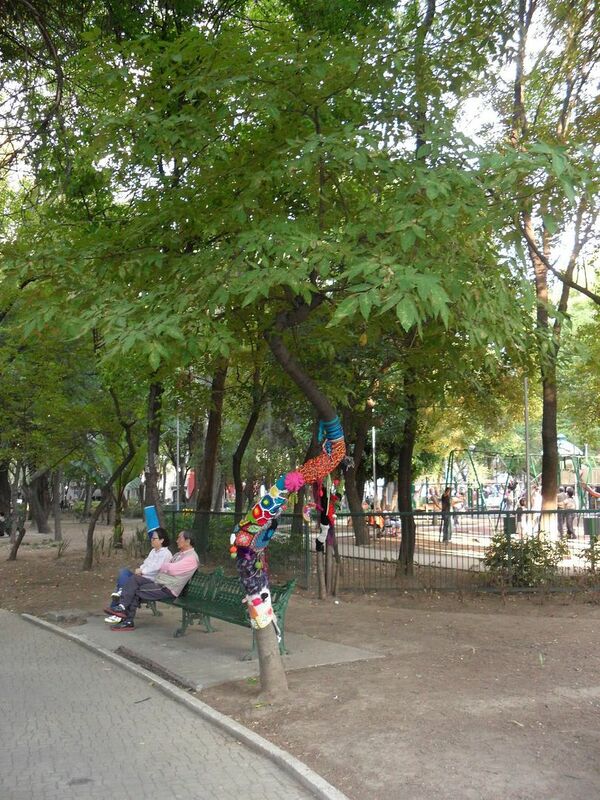 in order to make the world more joyful and beautiful, even if for only a day or two.